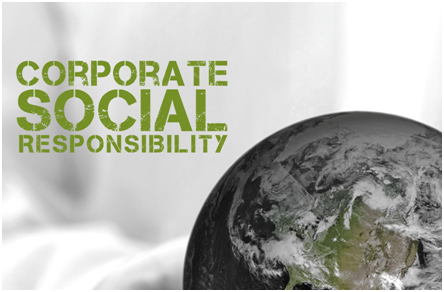 Corporate Social Responsibility (CSR) is becoming a major part of the business agenda for many corporates in the country. This is especially fueled by Section 135 of the Companies Act of 2013, which made it mandatory for every company having a net worth of rupees five hundred crores or more, or turnover of rupees one thousand crores or more or a net profit of rupees five crores or more to involve itself in CSR activities. A company’s CSR vision and mission should be added within the very framework of the company to make a substantial change in the socio-economic and environmental challenges that society faces. To achieve this you might need assistance in areas such as environmental impact assessments, social audits, and the measurement of social incomes when it involves third parties. Also various intervention programs for stakeholders need to be partnered with Non–profit & social impact organisations. Herein, it is smart to hire consultants who are thoroughly familiar with the terms and working under CSR. One such firm spearheading the CSR revolution is Vardaan Advisors Pvt Ltd. Here are the services provided by Vardaan to companies looking to maximise the impact of their CSR activities. Vardaan’s social responsibility advisory board has ample experience in the industry and will help your business execute or improve their social responsibility programs. We help you create a smarter system to formulate the assessment of protocols and tools. We will assist you with risk analysis, training and education, monitoring, and program management. Our experienced team will help you conduct in-depth research that brings to light key insights to make critical decisions dealing with sourcing and positions as the leader in the supply chain. We offer compliance services in order to understand if your business is aligned with the Companies Act of 2013. Companies that fall under the conditions laid down by this law are required to spend 2% of their profits on CSR and in case they don’t, they will be held accountable for it. We aim to help you with the preparation, implementation, and monitoring the compliance of your program with Section 135. We will assist in implementing a program that is integrated with your value chain, strategic, and is tailored for your business reporting. A baseline assessment is a necessary process to study the existing state of your projects, the business, culture, people, and the demographic information of the village or town that you have chosen to run your CSR project. This assessment will take place before you can start off your program. We will help in gathering information that can strengthen and sustain your program. By carrying out research by collecting data from Government records, relevant articles from the Associated Chambers of Commerce and Industry. We also help you raise awareness about the program via social media, create a clear research design, validate the collected data, and have frequent interactions with your field teams to provide relevant, first-hand information to them. Before you can even start a CSR program, the first step is to consolidate your finances. We offer services to assess the correct bracket for your company’s spending for sustainable CSR. We will help you plan your activities in compliance with Section 135 (1) of the Companies Act 2003. A trustworthy partner who has direct access to your company’s beneficiaries is the key to a successful program. When you assign the servicing of your CSR program, we will also help you find specialised partners to strengthen your program. It is necessary to completely verify the reliability of these partners. We aim to look for partners who have had a positive impact on the society through their programs. Evaluating how effective your current CSR programs are is one of the most important steps towards creating a CSR campaign that actually works. Once the project has been implemented, we will undertake the assessment of the program while engaging with our external partners. These studies will take place at regular intervals. Through these studies, our team will analyse each project and the impact assessment report will be submitted to the board. We use a diverse range of research tools and methods, depending on the nature of the program and the profile of our clientele. These tools range from interviews to answering questionnaires and will reveal what impact the program has made. Vardaan’s main aim is to help our corporate clients implement effective and sustainable CSR programs that create a significant difference in the society. This way we help you and help ourselves give back more to the world than we could’ve ever imagined.